Top Five Reasons to Buy a House Right Now | Northwest Washington Real Estate :: Priority One Realty Inc. Straightforward info which may help you decide if now is your time. 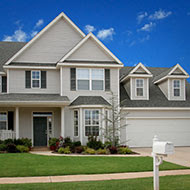 Click link below for realtor.com article.